There is plenty of fun to be had for the young and young at heart at Tokyo's Disney Resort, in many ways virtually a carbon copy of the theme park found in California in the United States. The Tokyo amusement park was opened in 1983 and it has gradually developed a character of its own, growing into one of the most popular amusement parks in the world and considered by many to have surpassed its American predecessor. The park now has many unique attractions and an interesting fusion of American and Japanese culture, but you will still find all the old favourites. The resort consists of Disneyland Park and DisneySea Park, along with several hotels. It is divided into seven different themed lands: World Bazaar, Adventureland, Westernland, Critter Country, Fantasyland, Toontown, and Tomorrowland. Visitors can expect attractions like the Jungle Cruise, Space Mountain, Splash Mountain and many more, which are all included on this huge site, and are very well-maintained and presented. The Tokyo park is known for its cleanliness and smooth operations but visitors should expect crowds and come prepared for some queuing. 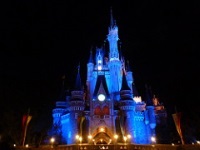 The premier attraction for kids in Tokyo, the Disney resort is unmissable for families. Transport: The park is reached via the JR Keiyo Line or JR Musashino Line from Tokyo Station; disembark at Maihama Station (South Exit) where there is a Disneyland Welcome Centre. Opening times: Check website for details, as hours vary according to season and day of the week. Generally open daily 8am-10pm with shorter hours in winter. Admission: There are several ticket options, including multi-day passports that allow entry to both parks. Check the official website for details.